This past Tuesday we got out to see the boy's cousin's wife, Alison Scott and her band play at a theater not far from our home. A couple of the boys aunts and uncles came by to see the house and visit before the show which was a lot of fun. We have become very fond of Alison and her band and have ventured out on quite a few occasions to see them. 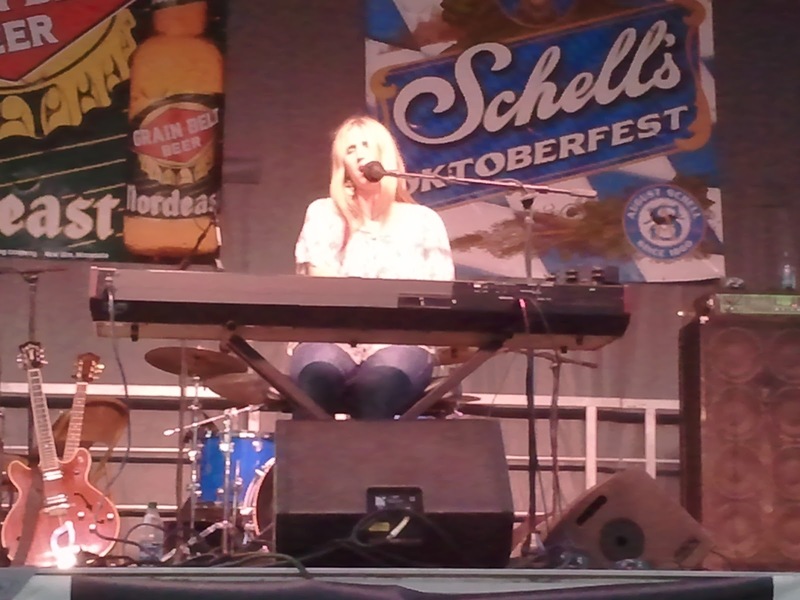 This summer we saw them at the MN State Fair (also known as the Great MN Get Together) which is always a great venue! The boy loves the variety and different types of food at the fair. 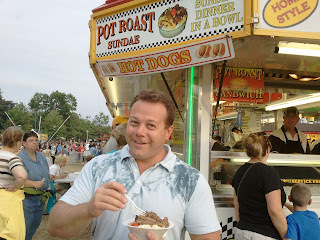 This year he tried the Pot Roast Sundae which is a new favorite, and I am sure we will be back for it next year! Ali is a wonderful performer and singer/songwriter. Her music crosses a lot of generations and personalities. If you ever get a chance to go out and see her, please do! For more information on her and her band, check her out here I know we are looking forward to her holiday show in Anoka December 22nd. I am hoping to take my niece as well as my parents! I will post two of her videos as my favorite songs as well!